The Cargo Floor Rack provides simple open face storage for all billiards essentials. 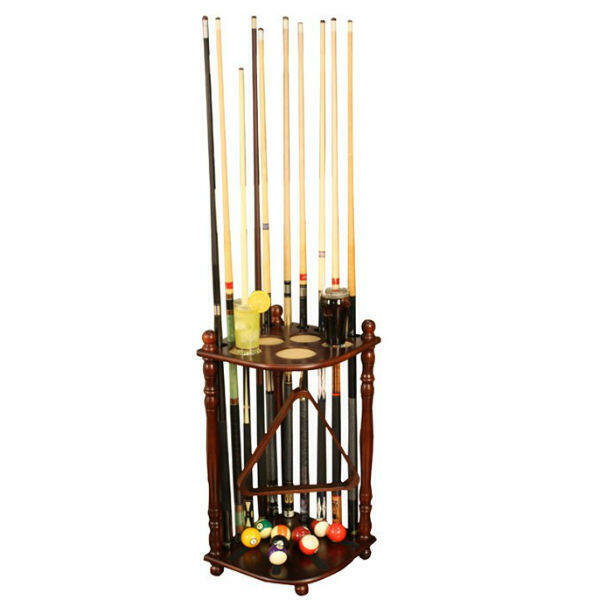 The small rack has enormous storing capabilities, as it can simultaneously hold up to eight pool cues, five beverages, a complete set of billiards balls and all styles of racking triangles. The presentation is bare bones, and doesn’t make a huge style statement. For simple functionality that will help to tidy your home game room without any significant frills, consider the Cargo. 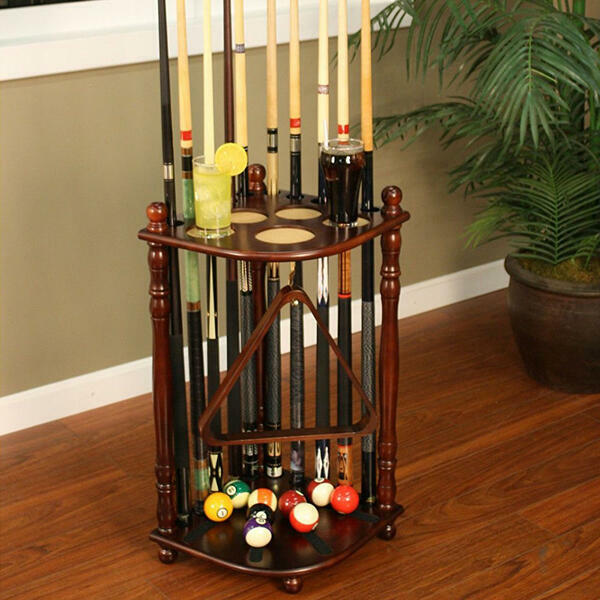 Choose from a range of finishes to meet the specific style needs of your unique billiards room.